All 15 PrimeSport Coupons have been verified and tested today! Make your sporting event experience a whole lot more fun when you save money on your ticket purchases with PrimeSport promo codes. You’ll be able to save some extra cash so you can spend more on drinks, food, and other extras while you’re at the game. To find out more about special saving deals and offers, follow PrimeSport on social media. There you’ll see all kinds of helpful information, upcoming events, and more all in your favorite social media newsfeed. You’ll also get sports updates, team statistics, news and much more at the click of a button. You can connect with PrimeSport on social media networks like Twitter, Facebook, Youtube, Google Plus, and Instagram. Follow which events are coming up in the next coming months by checking out the Events Schedule on the website. Find out which events are on the schedule so you can use your PrimeSport discount code wisely. To find the Event Calendar, scroll to the bottom of the homepage. There you’ll find a link to the calendar under the Quick Links menu. Once you’ve found the tickets you’d like to purchase, applying your PrimeSport coupon code to your order is easy. Head to Check Out, and you’ll be able to enter your special code under the “Order Summary” menu. Just select “Apply” and you’ll immediately see your discount applied to your order. Start buying tickets and saving on your experiences today. When you order your tickets with a PrimeSport promo code, you can always guarantee that your tickets will be 100% authentic. PrimeSport can also assure you that your tickets will be delivered in time so that you have them in your hand on the day of the event. PrimeSport also guarantees that when you order multiple tickets, all of the seats will be next to each other. When you order your tickets from PrimeSport, they will be sent to you as soon as they are received from the suppliers. Generally, PrimeSport ships tickets 2-3 weeks before the event day. Although, don’t be surprised if you don’t receive your ticket until the same week of your event. If you want to know the exact date that your tickets will be delivered to you, contact the PrimeSport customer service team. If your event is canceled for any reason, you’ll receive an email from PrimeSport with instructions on how to get a refund on your purchase. When events are postponed, rescheduled, or rained out, you will not receive a refund on your tickets. However, in most cases, your original ticket will give you access to the rescheduled date so you won’t miss out on the event. Start saving on tickets for major events when you use PrimeSport coupon on your orders. Purchase your tickets online and get big discounts when you check for special deals. Can’t find deals on any of these events? Check back later and you might be surprised by how much you can save on major events like these. To be the first to hear about PrimeSport coupons, sales information, and news, subscribe to the email newsletter. 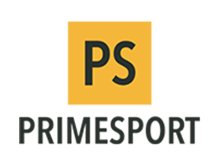 Stay up-to-date with the latest PrimeSport coupon codes, upcoming events, and more when you sign-up for the newsletter. Email subscribers save the most on their ticket purchases since they are the first to know about all of the saving opportunities. You’ll learn about all of the latest events so you can use your PrimeSport coupon codes on the games and experiences you actually want to go. To sign-up for the newsletter, head over to the website. At the top of the page, you’ll find a red button that says “Newsletter Sign Up.” Click the button, enter your name and your email address, and you’ll start receiving the latest PrimeSport news right to your inbox. You can always opt out of email notifications at any time. Subscribe now to start saving today. Shop for all kinds of event tickets right from the palm of your hand. When you download the PrimeSport mobile app, you’ll get access to the many shopping and saving features of the website right from your smartphone. Join the many users to who choose to have the PrimeSport app on their phone to make ticket shopping a breeze. To download the mobile app, search for PrimeSport in the App Store for iOS or the Google Play Store.